Even though today was a Pro D day - some students showed up to make films! YAY! 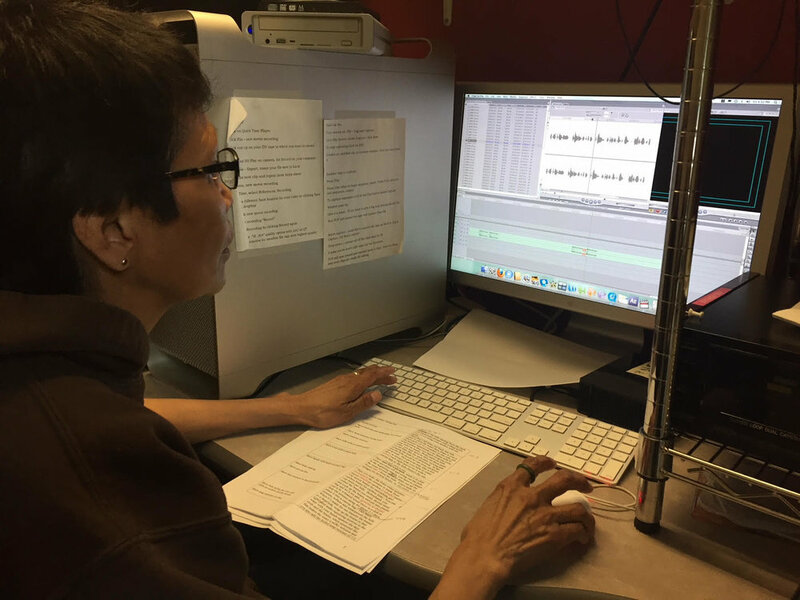 We also worked with Mary Jane on her Tanning Hides film and Brandon's film - a new one delving more deeply into Caribou Fences. Kayleen worked on her script, collected imagery (with lots of help from her Teacher and her Mom!) 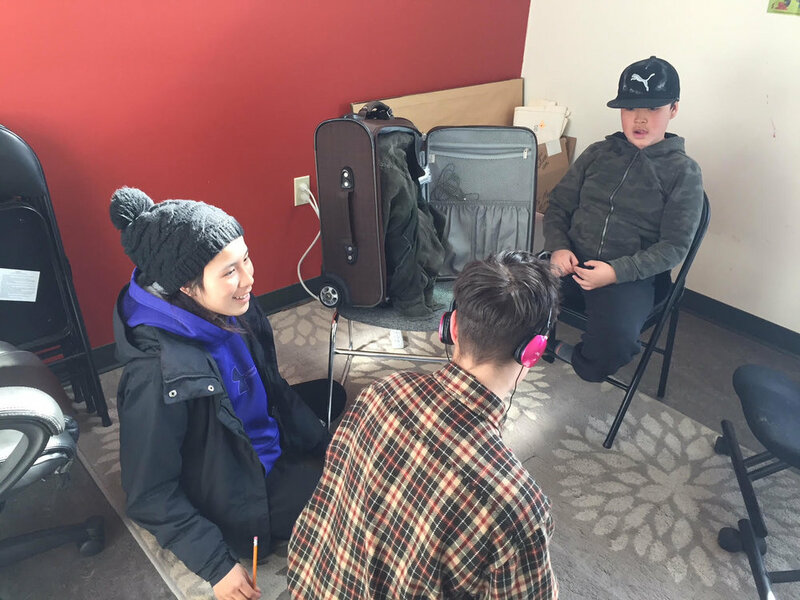 and even recorded voices: Jonathan, Isaiah, JR and Desmond were so kind to give their time AND then Kayleen recorded her own voice. She even started her sound edit! We also LAUGHED a lot, but still got so much work done. Allison took the Canon Rebel Camera out on the town and took some GORGEOUS photos of Old Crow. We learned that Allison is the class photographer and has a real good eye. Allison also brought the images onto a a timeline. She is still considering story. Desmond and JR (although only grade 4 and kindergarten) worked together to make an amazing animation of a Caribou, using colour to wash over the initially black and white image! Totally FUN! Brandon, Zoe and Lisa worked wrangling a mini dvd tape and captured (after much testing and finangaling) an interview with Alfred Tetlichi from 2001! Brandon listened to the audio (it is 55 minute interview) and selected the excerpt he plans to work with! 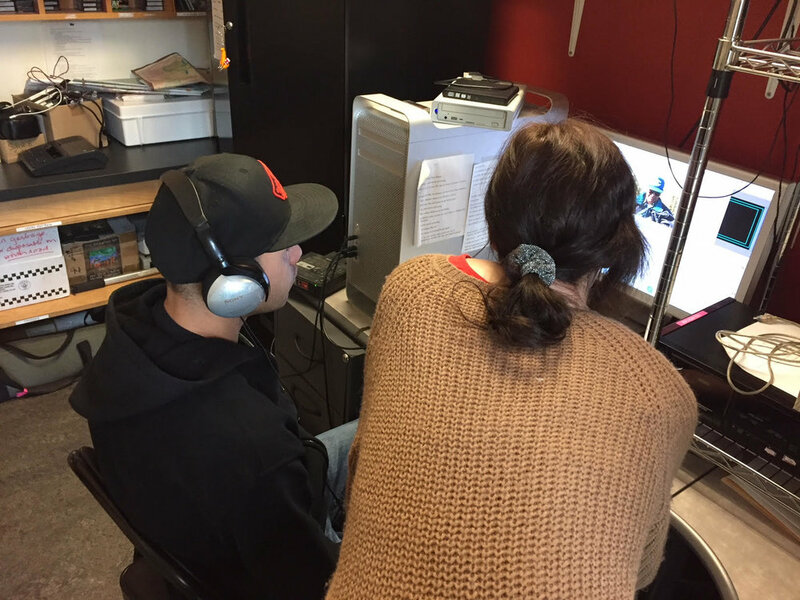 Mary Jane photographed some archival imagery and recorded her entire voice over with Kellen AND made her audio edit. She has two extra recordings to make and then she is onto visuals. What A LOT of great work! After dinner the mentors walked and 4x4'ed around the village with Kayleen (thanks for the rides) and Desmond, JR and Dean. What a great evening with snowballs, slush and silliness!